Herb Roots - Grow Herb Plants from the Herb Root! *Also note that we cannot ship to California or Oregon but we can ship to many international locations. Please call or email us about your country. 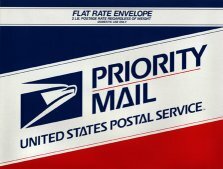 We ship Priority mail & Global Priority mail internationally. Shipped in November - February. We will not take pre-sale (or out of season backorders) orders via Paypal, but you can mail in a check or money order to reserve your plant roots months in advance if you like. (In fact, PayPal buttons will be disabled in that time period.) We will backorder and hold the order for you. Any orders prior to November will be backordered in order of date ordered. First come first serve. Please remember that shipping has to be in the cooler times of the year because the plants are dormant during this time of year and shipping works better without the heat of summer in regards to the plant not sprouting in mid shipment.